Website design attorneys law practice Charlottesville VA | Wilson & Hajek law firm asked VISIONEFX to design their personal injury law practice website. This recent Web Design Charlottesville VA project for Wilson & Hajek provides a competitive branded website presence in a highly competitive space. VISIONEFX developed a powerful look using multiple flipping custom graphics with detailed lists of links to interior pages. VISIONEFX also developed unique interior website pages using thoughtful application of text content, photography and consistent call-to-action contact boxes. The website has multiple interior page links that are displayed when a visitor hovers on a particular area of interest. The areas of interest or ‘focus boxes’ are displayed throughout the website for quick user reference. This allows a users to quickly move throughout different areas of interest. The website also features ‘live-chat’ assistance. 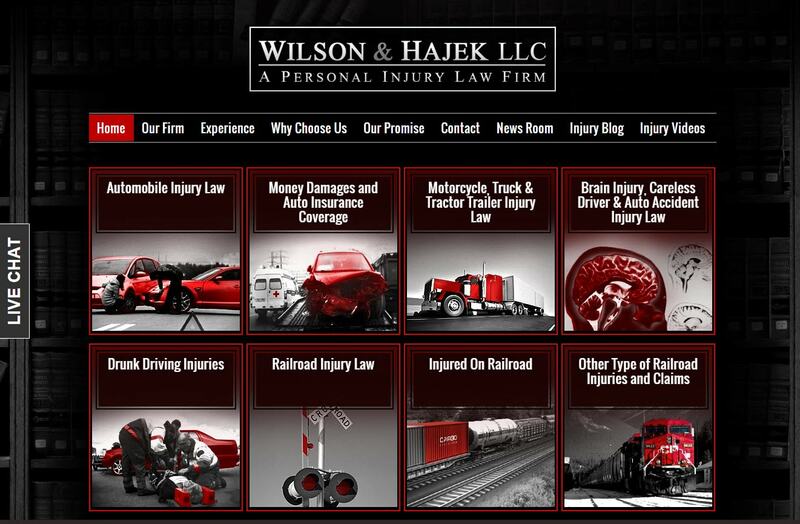 We are proud that the Wilson & Hajek personal injury law firm is a long time website client. This is the 2nd website redesign for their law firm. When searching Website Design Charlottesville VA look no further than the web designers at VISIONEFX.